Check this modern oil candle which illuminates a tiny stainless steel tree, casting enchanting shadows on the wall. Designed and created by Invented by an artist Adam Frank. 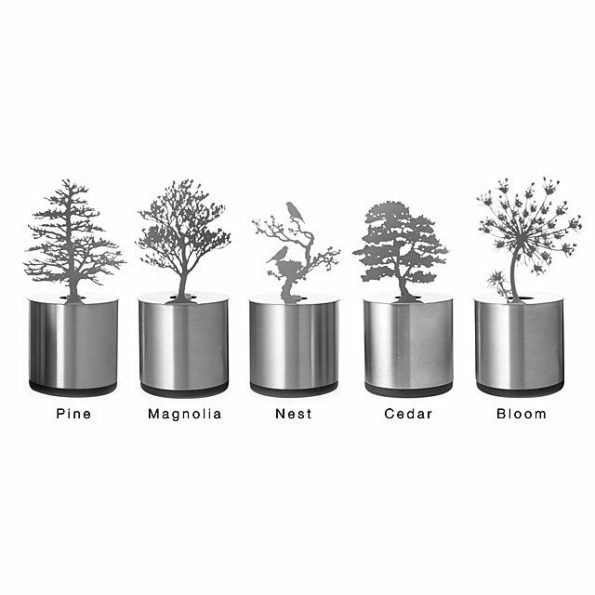 These oil candles casts , this modern little oil candle casts an enchanting shadow from a tiny, stainless steel tree. As the candle flame flickers the shadows falls on the wall making adorable designs. These cute candles come with two containers of odorless, clean-burning liquid wax that last 17 hours each. Available in five styles Cedar, Nest, Magnolia, Pine, and Bloom. Buy Now!